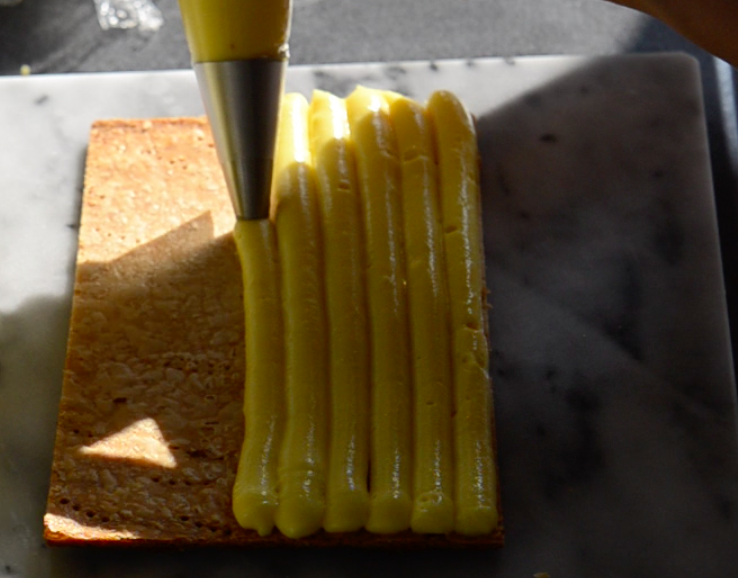 Is it possible not to like the crème pâtissière? Milk, egg yolks, butter, sugar and vanilla: comfort food taste and smooth texture, this cream is naturally used as a filling for many delicious desserts: Mille Feuille, Saint Honoré, Frangipane, not to mention éclairs and réligieuses. It was created under Louis XIV reign, in 1689 and it aged really well: the contemporary pastry chefs revisited this basic cream adding unusual flavors to it: green tea, berries, salted butter caramel, and even champagne! - When it's completed cooled down whisk it again (with a whisk or a mixer).